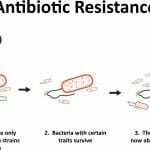 Last week, the US Centers for Disease Control posted an interesting article (in advance of publication in Emerging Infectious Diseases) on attitudes to antibiotic resistance amongst primary care providers. It is full of good ideas and it might even reflect what US providers think. As a basis for public policy, though, it is dangerously inadequate. … [Read more...] about Does bad qualitative research guide US policy?